(Alexandria, Va. – July 5, 2016) Imagine a future of fully connected transportation, with self-driving cars that efficiently navigate into easily predictable spaces. Thanks to innovations like ParkIt, winner of the Park TankSM competition at the International Parking Institute’s 2016 Conference & Expo in Nashville, Tenn., that vision is quickly becoming a reality. 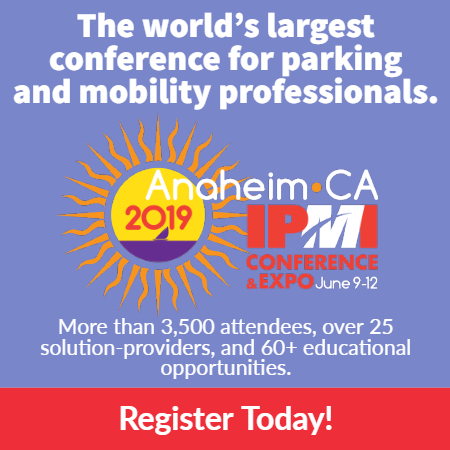 Sponsored by IPI’s Smart Parking Alliance and fashioned after the popular reality ABC-TV show, “Shark Tank,” the competition’s five finalists pitched their innovative ideas to an expert panel and parking-industry audience. Jennifer Ding sold the winning concept: a computer vision software that uses existing camera infrastructure to provide accurate parking data in outdoor environments. Recognizing that most parking operators can’t afford to install and maintain sensors on every stall, the system’s cameras each scan up to 100 spaces, while a web dashboard analyzes utilization, turnover, and stay time to extract more value from their spaces and make forward-planning decisions. Other finalists included Eunice Choe of ParkAlong, an online parking marketplace connecting homes and businesses with extra unused parking capacity; Kevin Dougherty of the Barnacle Parking Enforcement System, whose immobilizing enforcement device attaches to windshields using commercial-grade suction cups; Travis Knepper of RideHop , an on-demand service that allows fleet operators to gauge demand and assign fleet resources and shuttles more efficiently ; and Ofer Tziperman of Anagog Ltd ., whose crowdsourced, on-street parking network predicts vacated parking spaces across the globe. ParkIt was rewarded with invaluable exposure to parking industry leaders, municipalities, and investors at both this year’s and the 2017 IPI Expo and Conference in New Orleans, as well as advertising and editorial in The Parking Professional, the industry’s leading monthly magazine. All finalists were given feedback on their innovations by the panel of “sharks” before the audience was polled for the People’s Choice Award, which went to RideHop. IPI’s panel of “sharks” included Maria Irshad, CAPP, assistant director, Parking Management Division of the City of Houston – ParkHouston; David G. Onorato, CAPP, executive director, Public Parking Authority of Pittsburgh; Christian Noske, investment principal, BMW Ventures; and R. Graham White III, partner, Atwater Infrastructure Partners, LLC.